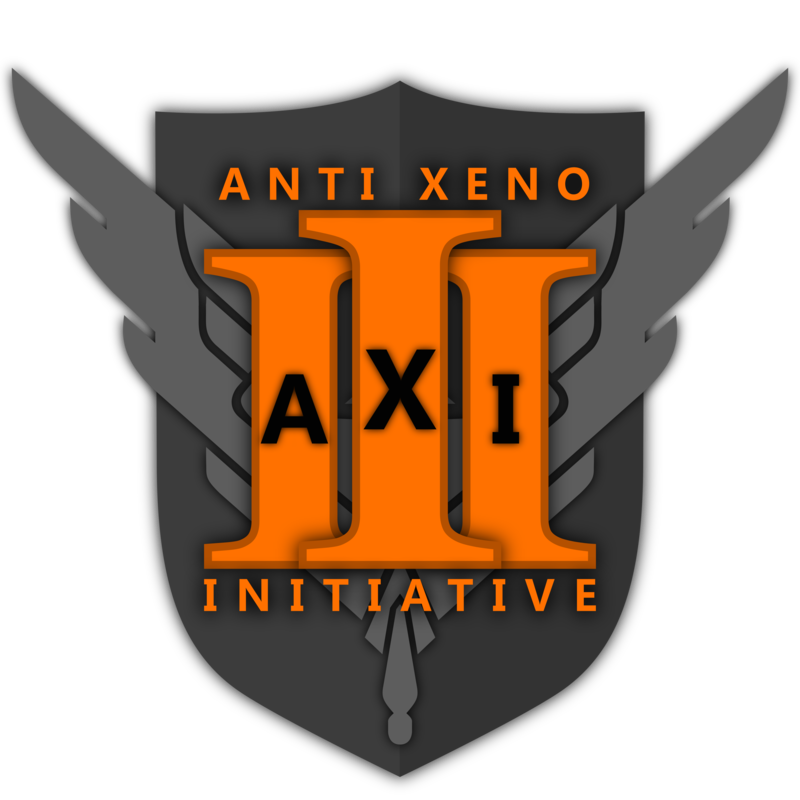 The Anti Xeno Initiative is a joint platform for pilots of all backgrounds to come together to combat the current and impending threat of aliens. It does not matter what career you led before you come to us. Cargo runner, star explorer, mercenary, smuggler, or pirate, all walks of life are welcome as long as we unite under the banner in defence of humanity and its survival. Both educational materials and highly coordinated strikes are made available for those that join us. Perhaps the Xeno has not come for you and your system yet, maybe they have not made it to your home today. However, be assured that if you take no action, there will be no one left to defend you, nor anyone else when they are at your doorstep. Join us today to blast out of the darkness that enshrouds us. Glory, to mankind.